See how this manufacturing plant owner found out exactly where and how much their final construction differed from their design plan. 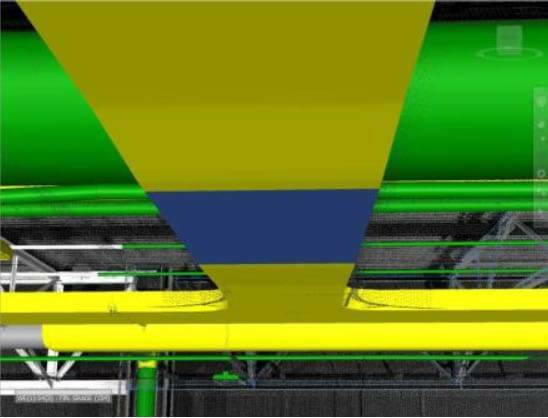 Advances in 3D scanning technology and data analysis software have set a new standard in intelligence for facility owners, architects, engineers and contractors. We can now detect, measure and display 100% of the variances between design plans and as-builts in the same amount of time it takes you to check 5% of your work. Darling Geomatics wants to partner with you to mitigate risk while documenting construction as a baseline for future renovations and improvements. Our 3D construction verification is safe, fast, accurate and cost effective. The data is repeatable and measurable. Click here to see which is within tolerance and which is out of tolerance in this example from inside a 1.25 million SF manufacturing plant in the southeastern USA.